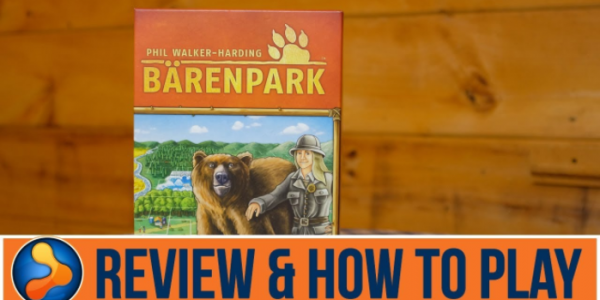 Bärenpark, from Mayfair Games and designer Phil Walker-Harding, is a tile-placement game in which players fit together various polyomino-shaped tiles on a grid in their own personal bear-centric zoo, earning points for certain tiles and for achieving specific goals as they expand and fill in their park. The game is a great spatial puzzle, with enough forward-thinking involved to be accessible to new gamers and veterans alike. Recommended.